There’s a lot of different types of baseball gloves available on the market, and for good reason! Depending on whether you are right or left-handed, what position you play – or intend to be playing – finding the right baseball glove for you can seem like an intimidating task. Purchasing a baseball glove is undoubtedly a long-term investment, so it’s important to take your time, and go with a brand and consider only baseball gloves that have the necessary pocket design for you, webbing, wrist protection and strap, size, durability, and of course material. We know the difference between an Infield and Outfield baseball glove, why room and tightness are so important, and what it takes to maximize your purchase and baseball experience. So whether you just like to throw the ball around, or play on an official baseball team, we’ve outlined the perfect baseball mitts for you! Pocket style and genuine leather can mean all the difference when it comes to ‘breaking in’ your baseball glove, and a trusted brand name can equally mean all the difference when it comes to performance. Read on to learn about this year’s best baseball glove choices, and find the perfect, most sensible choice for you! These are considered by us the best baseball gloves on the market! If you’re looking for the perfect starter glove, appreciate a pocket and woven design, then the Rawlings Premium Pro Series Glove is an excellent choice. 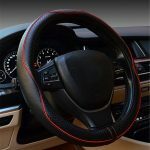 It is made of real leather, durable, and at the same time of an ergonomic design. No doubt it’s one of our more firm gloves, and although it takes a bit more time to ‘break in’, it’s definitely long lasting, and built to be used in different positions on the field with optimal precision. We chose the Rawlings Premium Pro Series Glove as out top pick because it works well for both children and adults, and is made from durable, premium construction and it’s evident that it’s one of the most well made of our choices, but also on the market in general. We like to ‘steer clear of veneer’, plastics, and other artificial leather because it cannot be properly conditioned, maintained, or ‘broken in’. 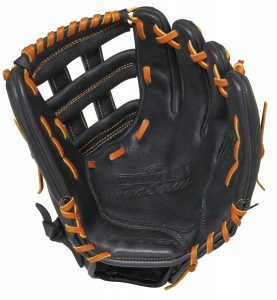 If you appreciate a trapeze style glove, you’ll enjoy this baseball glove, and the basket weave design also makes for a softer, more protected ‘catch and release’ experience. Overall the Rawlings Premium Pro Series Glove is an excellent choice, especially if you’re a second basemen, shortstop, or playing other Infield positions! 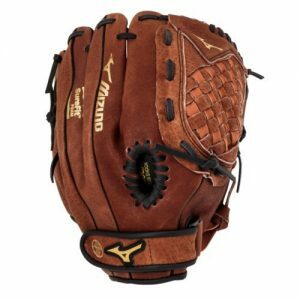 If you’re looking for a baseball glove that includes a wide pattern and sturdy build then this Mizuno, Franchise Series GFN1176B1 11.75″ Infield Baseball Glove is an excellent direction to go. A High- Low lacing build provides both durability and flexibility in-fielding, and maximizes strength and comfort while molding to your hand and catching habits. This Mizuno is truly the best deal for your money in performance and modern design considering how the manufacturer went above and beyond to apply both PalmSoft and Parashock technologies, easing the process of catching, offering premium protection, and using Ortholite Core palm pad technology that is made to absorb shock for your hand when catching. Although a smaller glove, more popular for youth, if you have a smaller hand and are playing lower level travel ball or little league then this is a great choice for the money, and one of the most well-trusted manufacturers and Infield baseball gloves available on today’s market. 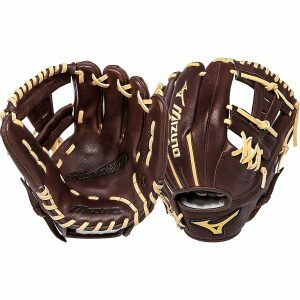 The Mizuno GPP1150Y1 Youth Prospect Ball Glove is an awesome choice for those on a budget, as it’s made with 100% pure leather, is naturally soft, and designed to teach Infielders how to catch with the pocket. The Velcro stitching is ideal as a youth baseball glove, and the soft and flexible build make it easier for young ones to understand how baseball gloves work, the catch, release, throw, and what type of glove material and build works best for them and the position or positions they play. This Mizuno is also a nice fit for younger ones with smaller, softer hands because it’s built with helpful extra padding. Available in both left-handed throw and right-handed throw this is a great baseball glove for those on a budget, and even at 11.5″ it has a very tight fit, and thanks to the cross wrist strap it’s very secure, and will protect your little one’s hand. Baseball gloves, also known as baseball ‘mitts’ are important and have been around since the late 1800’s believe it or not. History will show that there was not only plenty of time that baseball was played without gloves or a ‘mitt’, but that basic (fingerless) leather protection really wasn’t something looked kindly upon, was underestimated, and not really appreciated into the 1900’s as necessary. Originally, baseball players just relied on baseball mitts to knock the ball down, not necessarily catch it or used to ‘retrieve and return’. As you can imagine, playing baseball ‘raw handed’ is likely to be extremely painful, especially for older or even professional leagues where the ball is both hit and thrown much harder and faster. 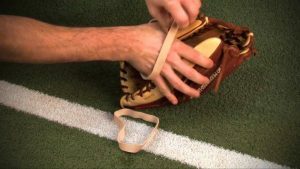 For youngsters, baseball gloves are really important and provide a great way with their various ‘pocket’ designs to show them how to properly catch a baseball, how it feels, should feel, and how to be efficient at both catching and throwing. 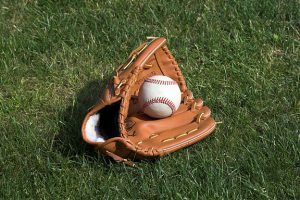 Depending on whether or not a baseball player or even hobbyist throwing the ball around the yard will require an infield or outfield glove weighs heavily on what one intends to do with the glove. It shouldn’t be any surprise that the most prevalent baseball gloves were designed with catchers in mind, and eventually outfielders. Although, understandably, basemen also benefit greatly from baseball gloves, as well as the pitcher. Without a proper fitting, well-built baseball glove injury is likely at worst, and at best plenty of discomfort should be expected. A lot of people assume that there’s only one (or two) type of baseball gloves, and because of this often choose the wrong kind, material, or even size – see more below. Purchasing the right, best fitting, and well-designed baseball glove means a more enjoyable experience to the game and a quicker reaction to whichever position you’re playing. Ultimately what baseball glove is the best fit for you will depend on your experience and it should not be assumed that a baseball glove can make you a better player per say, but more so efficient, reactive, and able to realistically improve your performance out on the field. What Makes the Best Baseball Glove? Choosing a baseball glove can seem either overly simple – which it shouldn’t be – or extremely difficult. Hopefully, you find a healthy median, find our top recommendations for this year’s baseball gloves helpful, and learn about the top indicators and what to look for when deciding what the most practical baseball glove is for you or your loved one. For starters, size is definitely a variable that can be easily overlooked. Speaking of starters, the type of baseball player you are, the level of experience, and the type of baseball you’re playing (what league) along with your position on the field should dictate what type of glove you decide on. Size is critical, and picking a glove that’s too tight can mean discomfort and inaccuracy, but, picking one that’s too large can actually cause similar issues. This actually leads us to our next point, which is why material and make is so important. What type of material – ideally leather – that your baseball glove is made of will make all the difference in both experience and precision. 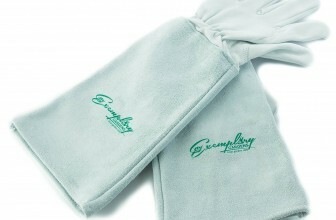 While there are types of veneer or plastic baseball gloves available on the market it’s recommended against. 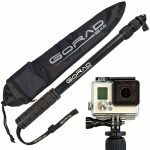 They easily break in many cases, fall apart, and are simply not naturally designed for prolonged use. In fact, this is a great time to also mention why and how oil-injected leather can even be a poor material and design to choose with your next baseball glove, and prove equally unstable. It’s definitely worth researching the different styles of thread and design baseball glove, again per what you’re looking to do with it, such as trap, I-webs, single patch, T-webs, and H-webs design. We know this sounds confusing, but really these are just various designs based on ergonomics, flexibility, and consistency of build to offer different levels of precision for trapping the baseball. This should makes great sense if you consider that different baseball player positions are expected to stop, catch, pick up, and return the baseball at different distances, and speed. It’s also important to be mindful of baseball glove purpose as far as fielders to catcher, to pitcher, and of course batter go. The best baseball glove for you will be one that’s made of the most durable, premium leather, fits well, is affordable for you and practical for the purposes and ways you play baseball. If you’re seeking a genuine leather, youth baseball glove that will provide both flexibility and durability than the Rawlings Premium Pro Series Glove is an excellent choice, is ergonomically design, and made with quality grain style that will last your youth or small handed glove one for years to come. If you’re looking for a pocket ‘game ready’ glove then this is definitely the way to go. This is a trusted baseball glove for both youth, high schoolers, and even adult baseball players barring the size is the right fit for you. This is also an optimal choice for those playing little league or pony league – just keep in mind this is designed for baseball, not softball. This baseball glove is great for infielders, is made of a trapeze style, and is great for retrieving and returning baseballs thanks to its design and well-built pocket that is meant to both absorb and effectively retrieve the baseball with ease. For those that are able to or want to learn to catch with the pocket, this is a great choice, and it comes in a tight enough fit that mobility and effectively playing is a cinch! 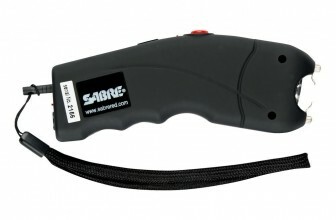 The glove can be adjusted through its inbuilt wrist strap for those that want to change the size or fit over time. Some customers have reported that this 12″ baseball glove is more of a tight fit, and realistically comparable to a 10″. For those with small hands this is not a problem, but at the same time it’s also worth mentioning that leather understandably needs to be ‘broken in’ in many cases, and this can extend it’s true to size over time and fit. The Rawlings Premium Pro Series Glove is a woven web, not an h-web, and for some, woven web’s don’t really work best for them. But, for those (youth) that are just getting started with baseball, finding their fit, and position on the field a woven web can be an ideal direction to go as it’s tighter and more responsive to use. If you’re looking to go for an intense play or even pepper, this youth and introductory design glove can only hold up so far. But, to be fair this remains a top rated glove for us, does what its designed to do and is made of true leather. The material is definitely on the ‘hard’ side, but a lot of people like that, and those just starting out actually find it more helpful when learning how to play baseball or new positions on the field. All in all, this is an excellent glove for beginners, but like any baseball glove is subjective to the position you’re playing, the level of experience, and what type of game you’re playing and of course who you’re playing with. For those not looking to sacrifice quality for the price, and get the best, most reputable baseball glove for taking it to the field the Rawlings Premium Pro Series Glove is an awesome choice, backed by a highly reputed brand that’s been trusted and used time and time again for many years. If you’re an infielder or baseman, or just using your baseball glove for practice then the Mizuno Franchise Series Infield Baseball Glove is a great choice and really gets you the most for your money. Being built from a hard leather shell, the Mizuno Franchise Series baseball glove uses various types of advanced technologies and even added center palm pigskin for support and optimal protection when playing the field. Customers are really happy with the Mizuno baseball glove brand and have stated that this glove, in particular, is easy to break in, great for playing shortstop positions, and the web design is optimal for catching and releasing the ball with ease. Although built with beginners and youth in mind, if you have a smaller hand there is no reason you can’t use and benefit from this all leather, premium baseball glove. It is great for retrieving lower level travel balls, and thanks to its wide pattern and build it feels nice and comfortable, so extended play and use is not a problem. For some, The Mizuno Franchise Series Infield Baseball Glove’s center palm padding is insufficient. With that being said, it’s important to keep in mind that this baseball glove is designed with beginners in mind, and for smaller players. For adults looking to learn how to play baseball and catch effectively, this is an excellent design and product! For low-pitched balls and other infield plays it’s an optimal product, and really gives you the most ‘bang for your buck’. Harder and faster thrown balls then, understandably, might require a different type of glove and material. Some customers have complained of this Mizuno baseball glove being of a smaller fit, or harder to ‘break in’. It’s worth pointing out two things, though, and the first being that a true size and right fit can mean the difference between a baseball glove being usable or not. The wrong size glove (for example), cannot be ‘broken in’ to fit a larger sized or improperly fitted hand. Although few customers have stated that this baseball glove is more ideal for little league or ‘less serious’ play, it’s not to say that it can’t hold up in a high school game of baseball, or harder hitting game. But rather, as a beginner’s glove, that it likely would not hold up the same all season long or multiple seasons, in comparison to say, adult gloves, sizes, and designs for intermediate to novice baseball players. By no means should this baseball glove be excluded for consideration at your next softball game, and thanks to its genuine leather design it’s flexible enough to be used for various base positions, in fielding, and catching. Few instances reported that the baseball glove tore down the center, although any product, in general, can be defective, and it’s also worth keeping in mind that genuine leather gloves like these require regular maintenance, such as oiling, stretching, and general protective care. These Mizuno infield baseball gloves are definitely not built cheap or weak, so such an occurrence is rare to nonexistent. If you’re looking for the best baseball glove on a budget, and flexibility, quality, and durability are essential then the Mizuno GPP1150Y1 Youth Prospect Ball Glove is the right choice for you. Thanks to its 100% genuine leather design, the Mizuno GPP1150Y1 comes relatively ‘broken in’ already, and just requires a bit of play along with some moisture to complete the process. Thanks to a in-built padded strap, adjustments are made simple, and the mold and cut-out of this glove make it perfect for youth baseball players still learning how to play baseball, the best way to use their glove, and how to properly catch and throw. This Mizuno baseball glove also includes a Power Close Notch technology, making it more practical to both close the glove and squeeze the ball with comfort and accuracy. If you’re looking for a reliable, lightweight baseball mitt then this is a good buy, and the synthetic material also helps to keep it firm and consistent. Given its tight fit, the Mizuno GPP1150Y1 Youth Prospect Ball Glove is a good choice because it also protects newer baseball players from ‘pop outs’ and getting harmed or losing the ball during play. The Mizuno GPP1150Y1 Youth Prospect Ball Glove is really comfortable and backed by the trusted Mizuno brand, so you know you’re getting a great baseball glove on a budget. 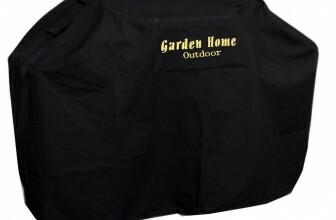 Some customers have reported that the glove comes in a larger size or fit than the size advertised. Albeit a bit uncommon of an issue, it’s important to ensure you properly measure and purchase the best fitting baseball glove for you or your loved one based on the correct metrics and game demands. This Mizuno is definitely a great baseball glove for rec play, but some have noted concerns that for long term seasonal use it may not hold up as well. Some have also reported this baseball glove being ‘stiff’, but again keep in mind it’s necessary to properly moisturize, and break in your baseball glove. In consideration of what you pay, this still remains a top pick for those going for a baseball glove on a budget. 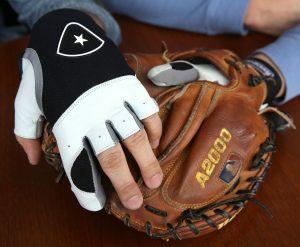 As a starter glove it’s also ideal, so as opposed to investing a ton of money into a new baseball glove, this leather and synthetic made glove gives you the necessary buffer period to determine whether or not you or a loved one are serious about baseball, while still having a reliable glove that’s going to hold up to the demands of the game. For those seeking a ‘tighter’ feel, it may not be possible to get this without choosing a smaller size, and because this Mizuno baseball glove runs big in particular it’s understandable how if not a smaller size, a different glove may be necessary – especially because this one already comes relatively ‘broken in’. For those looking to get the most out of their baseball glove, it’s important to keep in mind not only the variations of fit and feel of different available gloves on the market but also necessary maintenance of your glove. For example, real leather baseball gloves requiring regular oiling, and should never be neglected, left out in the rain or abused. Even the most expensive, premium leather baseball gloves can unwanted shrink, get unwanted wrinkles or shaping, and in turn cause poor play performance and experience. When searching for the perfect baseball glove for you keep in mind the strength of reputation, how long the company has been in business, what types of baseball gloves it specializes in, and it’s current market feedback – again, a form of reputation. More well-known brands like Spalding, Rawlings, and Mizuno have been doing this a long time, so you’re more likely to get the right fitting glove that gives you the performance and experience you seek. Also take into consideration the models and styles of baseball gloves produced over time by a baseball glove company, the type of webbing it uses, pocket design, and especially any extra shock-absorbing or pocketing and catching enhancing technologies. Today’s baseball can involve some serious throwing, hitting, and catching power so it’s important to invest in a baseball glove that’s going to hold up to these types of in-game demands. It’s very important, especially to those that are newer to or buying for someone newer to baseball that you pay special attention to the fitting guide, hand-design (left or right handed), and ensure you’re buying realistically the most efficient baseball glove that’s designed with out-fielding or in fielding in mind. Don’t ever underestimate size, fit, and that most gloves have a ‘smaller’ fit and feel than advertised. While breaking in your baseball glove over time is useful for molding to your hand, it again doesn’t really justify a larger fit or fixing the not uncommon mistake of choosing the wrong size baseball glove. It may seem obvious to some, but for those new to baseball and baseball equipment please pay special attention to the type of glove you’re buying –as the last thing you want is to purchase a batting glove for catching! Last but not least, it’s really important to not only pay special close attention to whether or not your baseball glove is made of leather, but also to what percentage, what kind of leather (very important), and any synthetic or plastic materials – as these can wear much faster, or even cause cracking and breakage over time. Synthetic plastics and other similar materials used in the development of baseball gloves are still relatively new, but without knowing and researching the types of materials used, regardless of how much or little you spend it could easily be a bad investment. Conclusion: So what’s the best fit for me? If you’re shopping around to find the perfect baseball glove on a budget, looking to get the most for your money or discover this year’s most popular and well-reputed baseball glove then you came to the right place! We hope that you found the above information and reviews useful. Mizuno especially is a really great baseball glove brand, and comes in a variety of sizes and types, mainly for infield positions. We really like the Rawlings Premium Pro Series Glove for those playing baseman positions, and looking to have a quick reaction performance of catching and returning the ball. The gloves we’ve reviewed, especially the Mizunos are each built with their own unique woven methods, and pockets which maximize flexibility and ergonomics of playing the game and doing it with both precision and ease. Definitely keep your eye out for baseball gloves that include a wrist-strap and come with a large pocket, as these are the kind that are built for flexibility, customized fit and size modifications, optimal catching experience, and desirable habit-building technology. Keeping in mind that you get what you pay for, never sacrifice quality for the budget, or go with a company and product that’s relatively unknown, has poor feedback, or is uncompetitive by any measure. We know how important it is to get the best baseball glove, especially for those just starting. And while most of our gloves reviewed above were designed with youth in mind, it doesn’t mean that these starter gloves cannot be used for adults just getting started that have smaller hands. These baseball gloves are made of great leather and quality, well-reviewed, and each uses modern technology to both protect your hands and increase performance while out on the field.